2018 was a stellar year for the bank. In our Golden Jubilee year, we delivered a record performance, continued to make solid progress on our digital transformation journey, and gained momentum in our efforts to drive sustainability as a core feature of our way of doing business. We also grew our talent bench and improved our people processes. Without a doubt, the highlight of the year was the slew of global accolades we received. 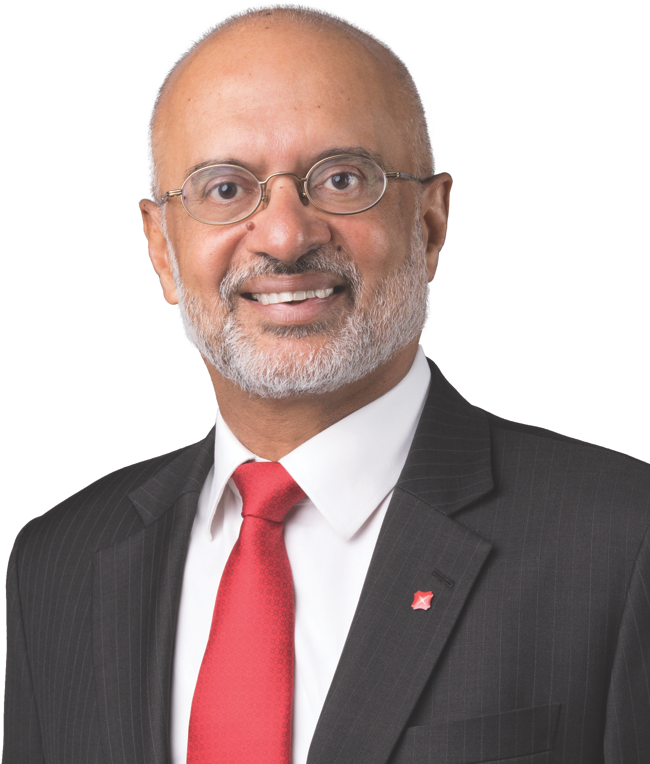 DBS was concurrently named “Bank of the Year — Global” by The Banker and “Best Bank in the World” by Global Finance, something no other bank has achieved. This was also remarkable as past winners have tended to be the large global players, making DBS by far the smallest bank to have ever gained these recognitions. 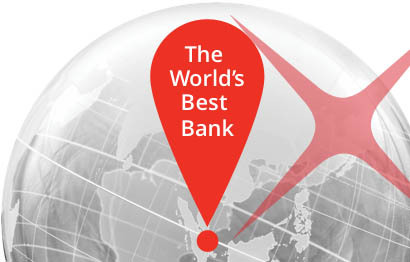 From private banking to SME banking to cash management, we were also recognised as being the best globally. Across the citations, we earned praise for our continued digital transformation, and the attendant impact this had on our customers and financials. That said, the year was not without challenges. The global economy started 2018 on an upbeat note, but sentiment turned in the second half amid rising trade friction between the US and China, as well as headwinds caused by tightening financial market conditions. A number of emerging market economies also showed signs of strain. Despite this, we had another record year. Our performance benefitted from broad-based business growth as well as a higher net interest margin. Total income reached a new high of SGD 13.2 billion and net profit rose 28% to a record SGD 5.63 billion. Return on equity (ROE) was at 12.1%, a level not seen since 2007. During the year, our wealth and cash management franchises delivered exceptional performances. Wealth income grew by 26% from deeper customer relationships as well as the consolidation of the ANZ retail and wealth business we acquired. We improved incoming ANZ relationship manager productivity, launched Treasures Private Client segments onshore in Indonesia and Taiwan, introduced DBS iWealth in Hong Kong and rolled out new products including those in the Environmental, Social and Governance space. In cash management, our digital strategy continued to set us apart from other banks, and this helped us to close a record number of mandates with both multinational corporations (MNCs) and small and medium enterprises (SMEs). Total income reached a new high, bolstered by growth in loans and fee income, as well as a higher net interest margin. Net profit increased 28% to a record and return on equity was at its highest since 2007. We proposed a final dividend of 60 cents per share, bringing the full-year ordinary dividend to SGD 1.20 per share, up 29%. 2018 was DBS’ 50th year. Recognising that strong stakeholder support has been key to our success over the years, we felt it was important for our Jubilee celebrations to include a measure of giving back — to shareholders, customers, employees and the community. DBS shareholders were rewarded when we paid out a special dividend of 50 cents per share to mark our 50th anniversary. We ran a gamut of 50th anniversary-themed customer promotions to thank customers. We expressed gratitude to our 26,000 employees who have been integral to DBS’ journey and success by gifting SGD 500 to each of them. To give back to the community, our employees actively mentored 50 social enterprises and participated in 50 volunteer initiatives in the bank’s birthday month, among other initiatives. We commemorated our 50th anniversary with a slew of initiatives that involved all our stakeholders. 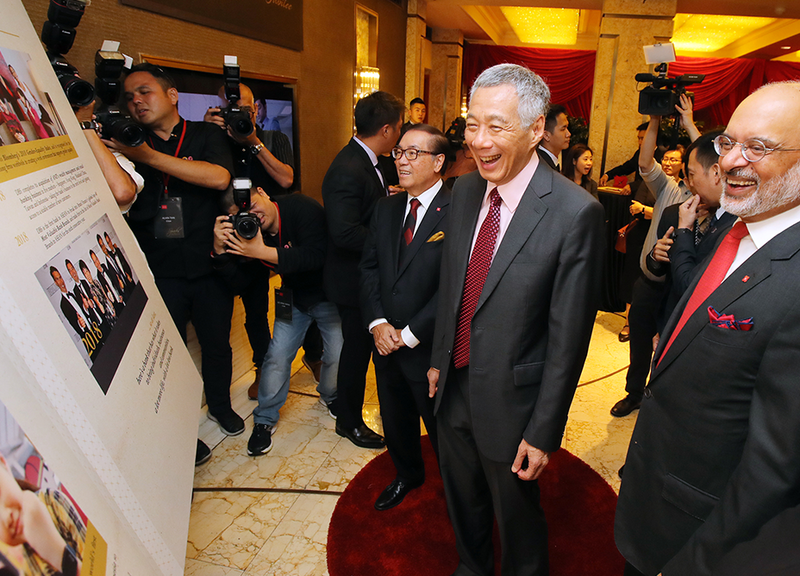 These included a gala musical where Singapore Prime Minister Lee Hsien Loong was Guest of Honour. 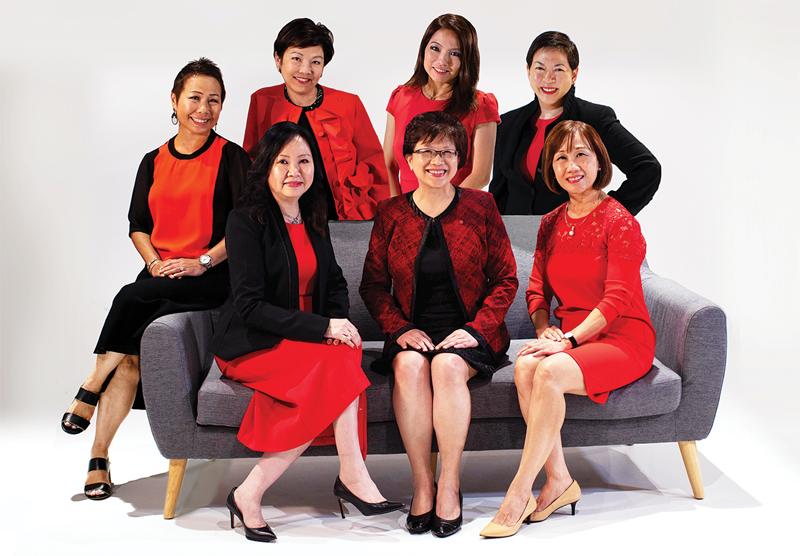 In May 2018, DBS evolved our decade-old positioning “Living, Breathing Asia” to “Live more, Bank less”. This new brand promise reﬂects our belief that in the digital era, we need to deliver banking that is so simple, seamless and invisible, our customers have more time to spend on the people or things they care about. It encapsulates several ideas — enabling customers to live hassle-free with invisible banking, to seize life’s opportunities and to live larger than themselves. Having made reimagining banking a priority in the past few years, we are well-placed to personify and embody banking of the future. DBS started our digital transformation in 2014 — early compared to many of our peers. Today, we have one of the most comprehensive digital transformation programmes for a bank, encompassing being digital to the core, journey thinking, culture change, as well as a measurement methodology that is able to quantify the impact of our digital transformation on our bottom-line. Taken together, we are now seen as a leader in digital transformation, not just in Asia but globally. In 2018, we continued to make progress on this front. Being truly digital involves a complete transformation of the bank, from front to back end, to enable us to be nimbler and faster to market. To be successful, we have to re-architect our technology infrastructure in the back end to be cloud-native, enable scalability through ecosystem partnerships, improve business/ technology co-working and maximise the use of data. Good progress has been made. In 2017, 66% of our open systems were cloud-ready — as at the end of 2018, this had risen to over 80%. Our cloud-native applications have nearly doubled to more than 60. Through increased automation, our release cadence of new applications in the market has improved by close to 10 times, enabling us to constantly learn, test and iterate in much the same way that large technology companies do. In 2017, we launched the world’s largest API platform for a bank. Over the year, we continued to enhance this platform, and now have over 350 APIs, enabling third-party brands to integrate our technologies to make banking simpler. This has allowed us to accelerate our ecosystems agenda. With the pervasiveness of digital, tech is business and business is tech. Recognising this, we no longer view technology as a support function. Instead, we have organised ourselves such that business and technology teams are now co-drivers in 33 platforms, and work together to deliver on shared goals and key performance indicators. On the data front, we have established an analytics centre of excellence, trained over 10,000 of our people on a data-driven curriculum, and developed a framework on responsible data usage. To become more customer-centric, we continued to embed ourselves in the customer journey. Working together with ecosystem partners, DBS has launched marketplaces on our website, selling cars, property and electricity. The idea was to embed banking in the everyday lives of customers, making banking invisible. Since its launch in August 2017, DBS Car Marketplace has attracted more than half a million unique visits, while the property marketplace generated more than SGD 300 million in home loan requests within 12 months. At the same time, we have formed more than 25 partnerships regionally, in both the consumer banking and institutional banking space. They include ride-hailing company GOJEK, classifieds marketplace Carousell and credit underwriting partners such as Experian, Perfios and Pefindo. With digital making banking simpler and more convenient, we continued to see an increase in customer acquisition through digital channels. Across the region, one in five new mortgages was acquired online in 2018, from one in 25 a year ago. In Hong Kong, one in three SME accounts was opened online, compared to one in four in 2017. What sets DBS apart is that digital transformation is not just the mandate of a standalone unit but embraced by the entire organisation. While this may be more visible in customer-facing roles, our support functions such as marketing and communications, Human Resources (HR) and Audit are also changing. This large-scale culture change has been key to our transformation. For example, DBS Sparks, a branded mini-series inspired by real-life DBS stories and delivered completely digitally, has garnered over 250 million views and inﬂuenced close to 10% of online customer enquiries. HR has started to recruit differently, piloting the use of artificial intelligence to help review resumes and pre-screen job applicants. This reduced candidate screening time by 75%, freeing up recruiters’ time so they can do more high-value work. Workspaces have been transformed to be more open, collaborative spaces, breaking down silos. Our success has attracted the attention of companies wanting to learn from us. In 2018, we conducted about 80 information-sharing sessions and tours of our innovation facility, DBS Asia X at Fusionopolis, for companies in various industries including financial services, consumer goods and transportation. Being purpose-driven is part of our DNA. From the time of DBS’ and POSB’s founding as the Development Bank of Singapore and “People’s Bank” respectively, we have believed in the importance of good citizenship. Building on this illustrious heritage, DBS has continued to reinvent ourselves over the years with a view to creating a more sustainable bank. We are focused on three sustainability pillars: (i) Responsible banking (ii) Responsible business practices and (iii) Creating social impact. We were involved in four sustainability performance-linked loans and a slew of green and social bonds issued by our clients. In addition, DBS was included as an index constituent of the Dow Jones Sustainability Index (Asia Pacific) and named to the Bloomberg Gender-Equality Index for the second year running. We sourced more than 40% of the electricity consumption of our Singapore operations from renewable sources as part of our commitment to global renewable energy initiative RE100. The aim is to power our entire Singapore operations with renewable energy by 2030. DBS Foundation, which champions social enterprises and social innovation, also had an active year. In 2018, the Foundation awarded SGD 1.25 million in grants to 12 social enterprises in Asia. This year also marks the debut of our standalone DBS Sustainability Report, which provides an expanded account on how we have been progressing against the sustainability agenda. DBS was named to the Bloomberg Gender-Equality Index for the second year running. Bart Broadman stepped down as board member in April 2018 after more than nine years of service. We would like to express our gratitude to him for his invaluable contributions over the years. As part of the board renewal process, we appointed two board members, Bonghan Cho and Tham Sai Choy. Bonghan has an unusual combination of technology expertise, especially in the field of artificial intelligence, and banking experience. This complements the skillsets of the existing Board, and also supports the bank’s digital transformation agenda. Sai Choy is a chartered accountant with 36 years of practice experience. Until his retirement in 2017, he was chairman of KPMG in Asia-Pacific. He will take over from Danny Teoh as Chairman of the Audit Committee in the course of 2019. Underscoring our commitment to groom talent from within, we announced several senior-level organisational changes. Jeanette Wong, who has been Head of Institutional Banking Group since 2008, retired in March 2019. To allow for a seamless transition, Tan Su Shan, who was previously Head of Consumer Banking and Wealth Management, succeeded her. Sim S. Lim, who was previously Singapore Country Head, succeeded Su Shan. Shee Tse Koon, who was Head of Strategy and Planning, took over as Singapore Country Head. 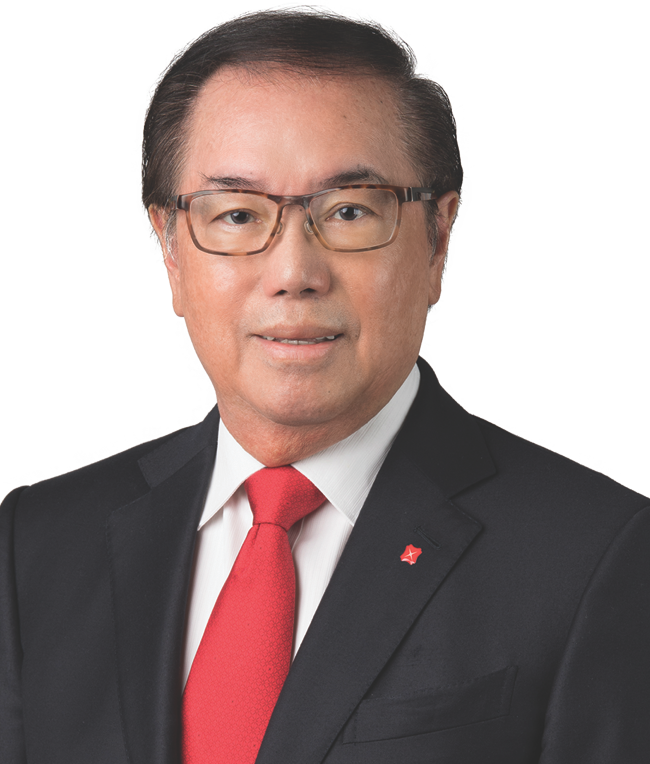 Earlier in the year, Tan Teck Long took over as Chief Risk Officer from Elbert Pattijn. The Board has proposed a final dividend of 60 cents per share for approval at the forthcoming annual general meeting. This will bring the full-year ordinary dividend to SGD 1.20 per share, up from the 93 cents per share the previous year. While 2019 looks uncertain with the ongoing US-China trade war, China deleveraging and general elections in India and Indonesia, as an Asian bank, it is imperative that we take a long-term view of the region. Alongside this, we believe it is important to continue investing in Asia’s two biggest markets — China and India. Our China strategy is focused on building niche positions domestically and capturing China outbound opportunities. Going forward, we will further deepen our presence onshore in the securities space and execute a Greater Bay Area strategy. In India, we recently converted our India branch licence and became a wholly-owned subsidiary. This allows us to expand our physical footprint, and we target to establish over 100 customer touchpoints across 25 cities in the next 12 to 18 months. A larger brick-and-mortar presence will strongly complement digibank, our mobile-only offering. While we have made huge strides in digital transformation, we cannot rest on our laurels. Big fintech trends in the next three to five years include Big Data, artificial intelligence/ machine learning and blockchain/ distributed ledger. We intend to continue to leverage these technologies and form ecosystem partnerships where they can make banking simpler or more effortless for our customers. Advancing the sustainability agenda also remains a priority. As the Development Bank of Singapore, DBS was pioneering in spirit as we financed the industrialisation and growth of Singapore. In 2018, we were honoured to have ﬂown the Singapore ﬂag high with our global awards. As we go forward, we intend to continue challenging ourselves to reimagine banking and make banking invisible.